Food and beverage (F&B) companies are required to be able to keep up with ever-changing consumer demands. This is one of the big challenges that they have to overcome. In order to be able to meet consumer demands, F&B manufacturers need to optimize their production process. In other words, they should be able to streamline the production process while ensuring the quality of their products. 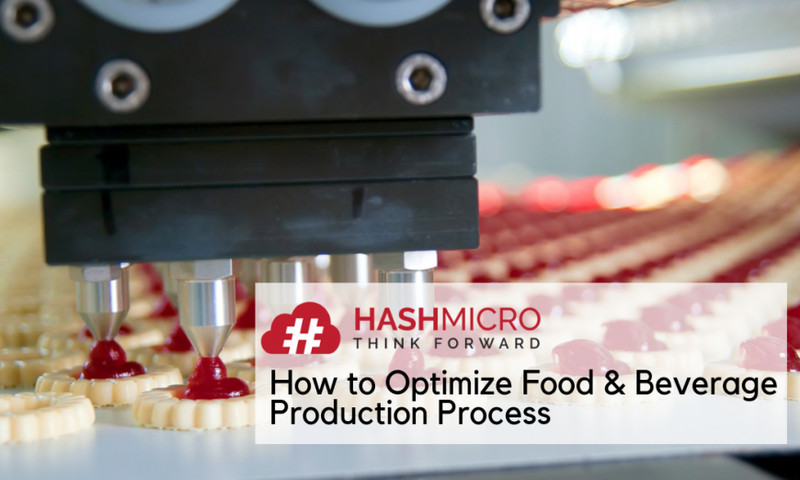 Here are five effective ways to optimize your food and beverage production process. Market demand for food products rapidly changes. When salted egg foods first boomed in the market, many F&B companies added the flavor to their product lists, from packaged chips, breads, fried chickens, to various processed meats. As expected, the tend lasted only a few months and it was replaced by another food trend. F&B manufacturers must be able to keep an eye on market demands to be able to create products that meet consumer needs. Therefore, it is important for manufacturers to be up to date on food and beverages that are (and will) be trending. To find out what and how many food and beverage products should be produced, manufacturers must be able to forecast their future consumer demands. Forecasting demands can also help manufacturers avoid excessive inventory and unnecessary productions. In addition to keeping up with food and beverage trends, F&B manufacturers can also forecast customer demands by reviewing their sales data. However, this will be troublesome if they still depend on spreadsheets to create sales reports. To get complete and accurate sales data, manufacturers should invest in sales management software with an advanced analytical reporting tool. This software can provide a complete visualization of how many products are sold, which products are best-sellers, which ones are less desirable, and so on. Furthermore, forecasting also makes it easier for manufacturers to determine prices (when to increase and decrease prices). In order for the production process to run according to plan, F&B manufacturers need to ensure the availability of their food and beverage stocks. If they are not able to figure out the inventory shortage early, there could be delays in the production process. To avoid production delays, manufacturers must ensure that their stocks are always at sufficient levels. This will be easier if they use inventory management software. Inventory management software makes it easier for F & B manufacturers to monitor the availability of their food ingredients. It enables them to determine the minimum inventory levels and get alerts whenever the inventory gets low. A good inventory management system should provide a supplier management feature that allows manufacturers to place orders with suppliers immediately when inventory reaches the specified minimum level. 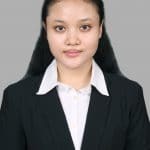 With this software, manufacturers can also easily find out the life cycle of their food and beverage products; how long the product will last and how their conditions are. F&B manufacturers rely heavily on machines to make their products. Outdated and damaged machines lead to downtime. To avoid delays, manufacturers must ensure the effectiveness of all the equipment. Even though it may require large sums of money, investing in new equipment will help F&B manufacturers optimize their production in the long run. To avoid damage, manufacturers also need to maintain their assets regularly. The implementation of an asset management system can have a large impact on the effectiveness of the machines so that the production process can be optimized. The supply chain management is a critical segment in any F&B business that holds up production and consumer need fulfillment processes. Therefore, it is important for manufacturers to gain complete visibility into their supply chains. Supply chain management software (SCMS) can help manufacturers fully control their supply chains; from managing procurement and tracking inventory, to shipping and returning goods. This software ensures that each process runs in a timely manner. SCMS also helps F&B manufacturers optimize the quality of their products by providing real-time information regarding raw materials and finished product. Indonesia’s food and beverage companies are monitored specifically by the Food and Drug Administration (BPOM), so F&B manufacturers need to ensure that none of their products are out of date or unsuitable for consumption. 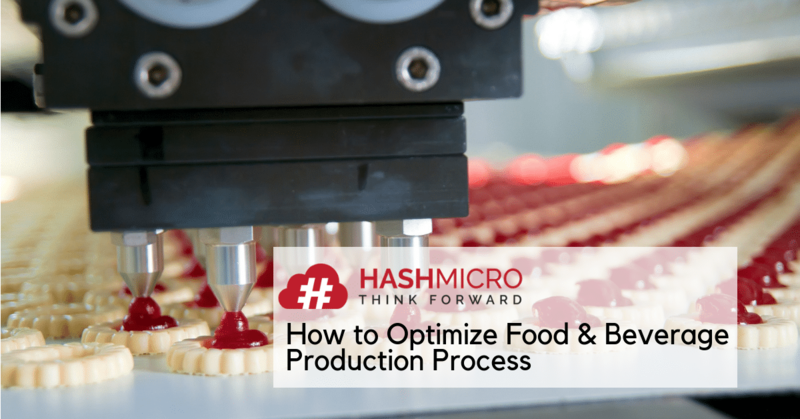 Optimizing the production process will help F&B manufacturers improve numerous of things in their businesses, especially their sales and customer satisfaction. Thus, manufacturers need to review and improve all processes related to the production process. ERP software for manufacturing can help improve F&B production process by automating labor-intensive, time-consuming operations and providing complete information on various aspects; including production planning, purchasing management, inventory management, asset management, customer management, and supply chain management. Contact us for more information about manufacturing ERP software for manufacturing. What is a Human Resource Information System (HRIS)?